These are recommendations for a modified ketogenic diet protocol using the Bulletproof™ Diet. 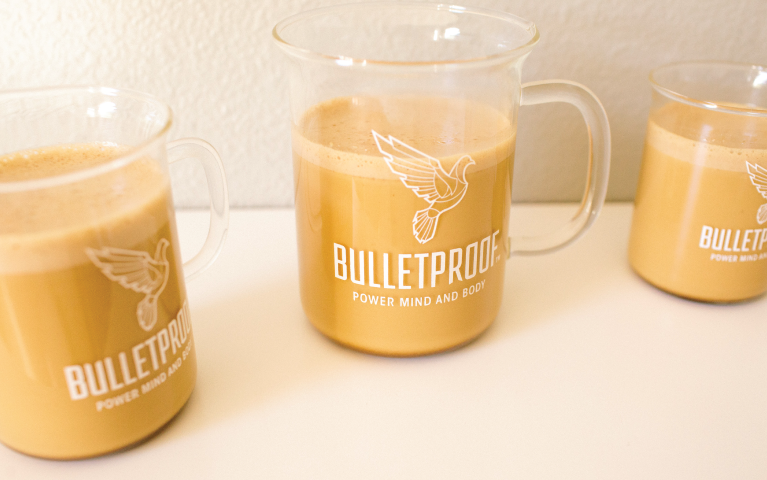 Bulletproof™ also focuses on high nutritional value and anti-inflammation. Lunch when you’re hungry, but not before noon. Have a white protein source or fish, and as much green veggies as you’d like. Butter is fine on anything. No salad unless it’s spinach. Eat as much as you’d like. You’re not counting calories. Add as much fat as you’d like. Dinner before 6pm, any protein source (no soy), as much green veggies as you can eat, and a sweet potato if you’d like. Ideally, and for some clients, no starchy carbs consumed at all. Again, fat counting doesn’t apply. Any clean sourced fat is simply fuel. You may end up eating two small meals or one meal a day. This is where high nutritional density becomes very important. Keep your eating between noon and 6pm, no eating from 6pm to noon. Only the coffee.